April 1st is Monday, so start making plans for your garden and flower beds this weekend so you can shop at Schuster&apos;s Greenhouse, 8638 Murray Ridge Road, Elyria during the months of April and May. By doing this you will help EC&apos;s new club, the Panther Pantry, as they gear up to prepare for planting season. Their mission is to provide food to those in need in our community. 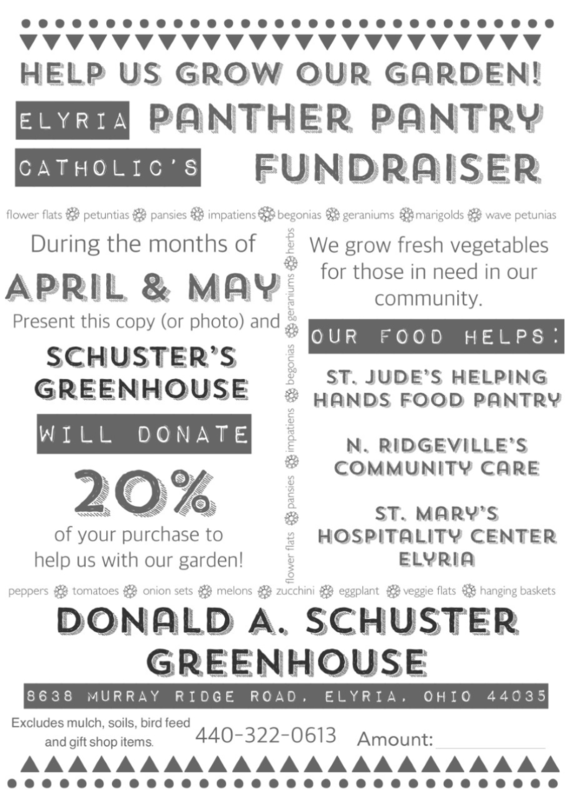 When you present the coupon available in the link below or show the digital image, Schuster&apos;s will donate 20% of your purchase to the Panther Pantry.